AC electric motors are typically installed in such a way that they are switched on and off and only operate at one speed, the maximum speed of the motor. When an electric motor starts and stops, it draws much more current than is required for normal running conditions. These spikes of up to as much as 500% of normal running current result in significantly greater energy costs and increased stress on the motor. 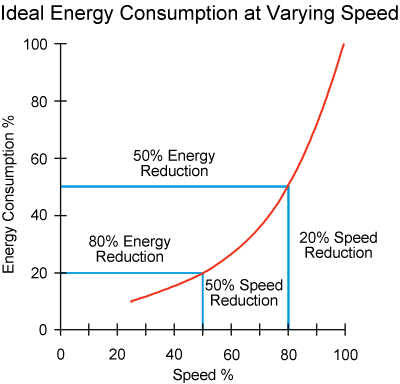 Reduction in speed results in significant energy savings. A Variable Frequency Drive (VFD), also referred to as a variable speed drive, is a computer-controlled device designed to intelligently manage the operation of an electric motor. VFDs gradually adjust motor speed to match changing needs, resulting in a reduction of mechanical stress on the motor and other equipment. In turn, the life of the motor is extended and energy costs decline considerably. Danfoss manufactures drives that are designed for a wide variety of applications and are available for AC electric motors of all sizes. For example, in agricultural applications, the Danfoss VLT AQUA Drive is a perfect match for irrigation water pumps, air blowers, and fans. 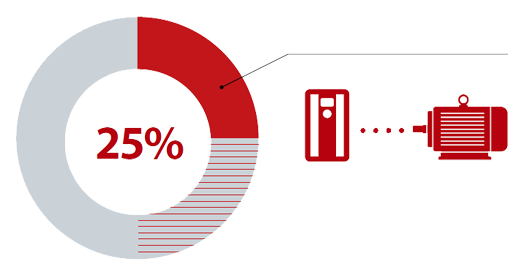 Almost two-thirds of all drives in industry are used to control pumps, fans, and compressors. There is a measurable benefit to be gained by using VFDs in water pumping and air movement applications. Why Use a Danfoss VFD? By slowly starting and stopping electric motors, VFDs reduce the current drawn by the motors and, therefore, the associated electric charges from energy providers. Electric motors rarely need to run at full speed, and with VFDs, motors can be run at lower, more efficient speeds, further reducing energy costs as well as wear and tear on motors. VFDs can also utilize data from connected sensors such as temperature, pressure, and flow measurement devices and use the data provided by these sensors to further increase the efficiency of the system operation. Built-in intelligence for increased performance in all water, wastewater, and irrigation applications. 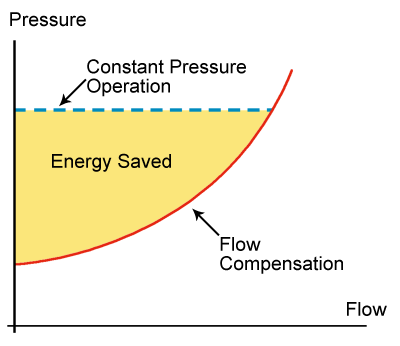 The pressure setpoint is reduced via the flow compensation feature, resulting in significant energy savings. With a Danfoss VFD, customers will see a quick return on investment thanks to a reduction in energy use combined with rebates and incentives from the energy provider. Find more information on the Danfoss VLT AQUA Drive. Today, about 25% of motors are equipped with drives. A reduction in energy usage can be realized by the application of VFDs to the remaining 40% to 50% of existing motors. Why Use Esys® The Energy Control Company™? Esys The Energy Control Company is an organization dedicated to providing economical process control solutions for customers in Central California. Utilizing its well trained staff, Esys is able to provide all the elements required to implement VFD systems for agricultural applications. These elements include an engineering department to design the systems, panel and fabrication shops to build the systems, a construction department to install the systems, and a service department made up of factory trained technicians to start up and maintain the systems. 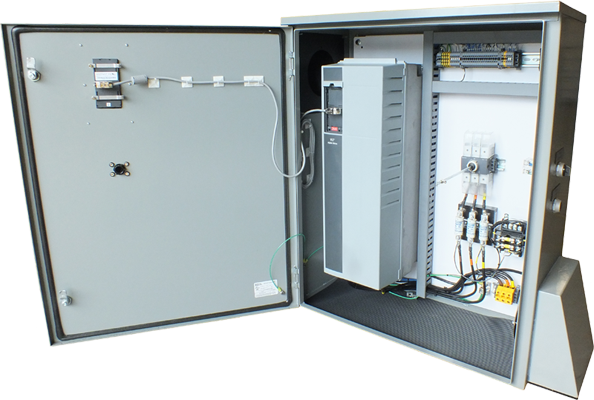 This complete turnkey solution is further supported by an extensive local inventory of VFDs and VFD repair parts. Esys is the Authorized Central California Danfoss distributor. As a distributor, Esys can provide the most competitive pricing for its customers. Esys is also the authorized factory warranty repair center for Southern California. Warranty repairs can be performed by Esys technicians on the customer’s site. In the event a VFD needs service beyond what field service crews can perform on-site, the drive can be repaired at the Esys Woodmere Repair Facility in Bakersfield California. At this facility, repaired VFDs are load-tested prior to shipment to verify the repair was completed correctly and the VFD is performing to factory specifications.